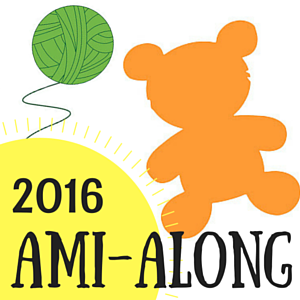 Join our amigurumi knit-and-crochet-along 2016! Last summer a group was founded on Ravelry to celebrate the love for Amigurumi toys, crochet and knitted. It was great fun and a huge success, so this year we are doing it right again! Make an amigurumi from one of the eligible patterns (see above) in the event’s time frame (27th of June – 31st of August). If you’d like to buy one, there’ll be a special sale running (offered by all participating designers) – 25% off all patterns. Yay! Just use the code AMIALONG2016 in your Ravelry cart! The code is valid from 27th of June till the 3rd of July 2016 EDT time. So come and join the amigurumi fun!